HAMs were the first line of 'volunteer' eyes on the ground for natural disasters. HAMs used to be the only way to get a message to loved ones far far away when 'official channels' bogged down. (( see the history of the MARS networks )) While it was big after the 50s through the 70s. CB radio took over then the Internet and now, most are into online services, Skype, and online radio, etc. Not impossible but an investment of time and money (equipment and testing). Last Edit: 5 years 2 months ago by Kol Drake. I'm predicting the return of what will look like a calculator watch for those of us who remember such things... except its essentially your iphone on your wrist. basically an iphone in a nano size? lol only if there's a projected screen that allows me to type and see things. I"m pretty sure Apple has a patent pending or approved already that is essentially a Star Wars-esque holo-communication type of apparatus.... so yeah... I could be beaming out of your wrist for a chit chat any day now. Sadly, I am finding it very hard to find a location that is "safe" from everything. East and West Coasts are subject to typhoons, hurricanes and tidal waves... potentially taking out several miles of coastline. 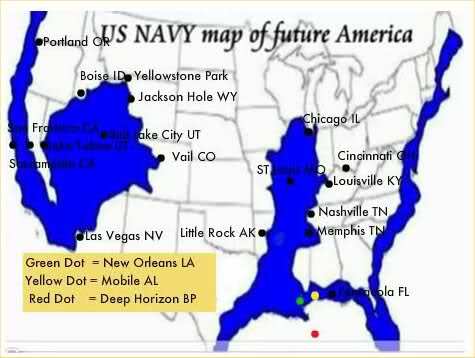 Low lying places like New Orleans or ALL of Florida could end up underwater very easily. Same for excessive flooding along any of the national 'waterways' -- anything of note in or along the Mississippi River. Thanks to very old and rundown levies, if the 'Old Muddy' really wanted to, it could overflow them and flood several miles of low lying farmland all up and down the river from Canada to the Gulf Coast. I thought Arkansas was kind of semi safe but it has it's uber thunderstorm season and annual tornadoes -- all part of 'tornado alley' -- from coastal Texas up through Oklahoma, Arkansas, Kansas, and on up north and easterly. Plus, apparently due to injection 'shale oil' drilling, the number of micro and bigger then micro earthquakes is on rather large rise. Many other states are also seeing these increases thanks to the oil industry mucking with the deep earth layers and they 'stuff' they shove down there. Of course, I once lived in Southern California as a kid. Watching the palm trees 'do the hula' during minor quakes was 'normal'. These days, they are still predicting 'the big one' will hit California and put most of the state in the ocean one day. Best live on the eastern slope of the mountains.. and hope the ocean front property doesn't leak over the peaks and dribble down into the low lands to the east. I used to think my old high school spot -- desert in the South Southeastern Washington state was nice. Cold but never frigid in the winter but hot (but a dry heat) in the summer. An hour and you are in farming country or pine forests or snow skiing or 250+ days of gray skies and/or rain in Seattle! BUT... after Mount Saint Helen blew her stack ... there are a whole mountain range of potential 'big blowers' that could go off someday... some way past due. 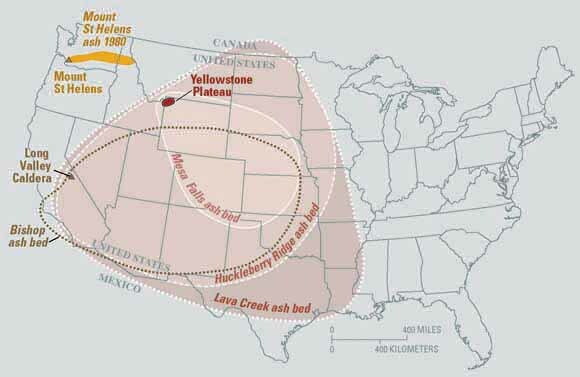 Same for the entire 'big sky country' -- the entire western 'desert scene' from Wyoming to Mexico and everything going east (thanks to the jet stream) is a 'dump zone' if Yellowstone Park ever blows. What isn't immediately buried under dirty and ash several feet deep gets all the volcanic fallout which can stream to the east coast and into Europe... essentially making the middle zone of the US the same as during the 'dust bowl' days. So, pretty scarey if you were thinking -- there must be one place that's 'safe'. Anybody know of any earthquake/volcano/storm/tide proof locations in the US or other parts of the world? Last Edit: 5 years 6 months ago by Kol Drake. Yellowstone isn't blowing anytime in the next few thousand years. If you take that one thing out of the mix (which would basically end life in the US, if not the earth), Colorado is an excellent place to be. I think it's why I've been lead to settle there and build an offline Jedi facility in time. Fire is the only major risk, and everything will be designed to be as fire resistant as possible. It's going to be very interesting to see how things pan out in the coming decades. Sea level change will be here very quickly. Earthquakes are likely to kick up again soon. These are great maps to help a person figure out their various hazards. I look forward to moving away from the coasts. My renters insurance was reduced by more than half because there are no major hazards where our new apartment is. It's pretty nice. Ouch... forgot about random 'natural' stuff. Ya, I almost got 'drafted' while training in California due to wild fires sprinting up to gobble up fancy houses. This year, there have been plenty of news shots of homes on hillsides and valleys turned to ashes out in California and other states. Yep. 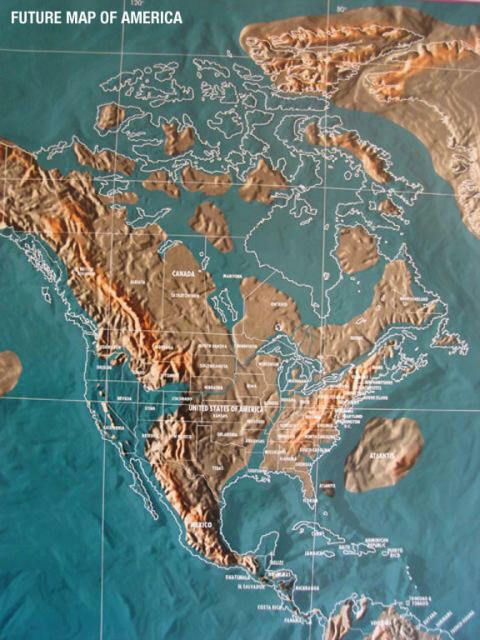 'Projections' for Yellowstone are beyond our life time. But one should be aware. The last full-scale eruption of that kind occurred 640,000 years ago, and the ones prior to that occurred 1.3 and 2.1 million years ago. Interspersed with the big ones have been smaller-scale but still major eruptions, most recently 70,000 years ago... so, stuff happens when it happens. IF the tectonic plates go wonkers along with climatic changes which flood coasts -- the 'Ring of Fire' can be woken up and then... the ash hits the fan. Fingers crossed it does not happen for several tens of thousands of years and we can't live in fear of 'what if it happens tomorrow' -- if it does it does... so live a GREAT life each moment 'just in case'. They talked about the problems of conservation, preservation, and fires on science friday last week I think. Definitely useful information.